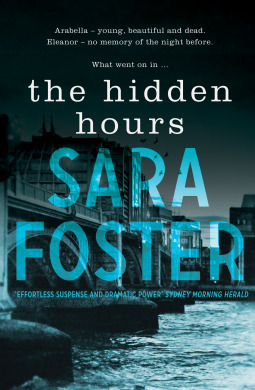 I’d seen the blurb for The Hidden Hours on Goodreads and marked it to read late last year. It is written in present tense and mostly from Eleanor’s perspective. There are snippets at the beginning of each chapter told from another character in the story’s viewpoint, adding a little more depth to the story. I’m not normally a big fan of present tense, but it didn’t take me long to get into the rhythm of the story and ultimately I felt it was probably the correct choice in this instance. Eleanor is a deeply troubled character due to something tragic that happened in her childhood. Not only is she facing the drama of not being able to remember what happened during the hidden hours, or if she was somehow involved in Arabella’s death, memories and anxieties regarding her past are brought to the surface. Eleanor is a deeply troubled character who isn’t sure what is real or who to trust. On the one hand I liked this aspect or flaw in her personality, on the other, it meant she was too indecisive and easily manipulated. There were times I willed her to do something, rather than languish in her room feeling sorry for herself. The secondary characters were mostly strangers to Eleanor, and so I didn’t really know much about them, other than what Eleanor herself knew about or thought of them. This made it difficult to not only know who the murderer was, but also in terms of character development. Eleanor is facing two sets of demons and she needs to face both her past and present. This leads to two storylines unfolding at the same time. The plot is well written with plenty of potential murderers in Arabella’s case. There is misdirection by the characters, and especially from Eleanor herself due to who she does or doesn’t place her trust in. The pace is reasonably slow, but the psychological aspects keep it interesting. The Hidden Hours is a quick and thrilling read. I received a free ARC of this novel from the publisher via Netgalley, in exchange for an honest review.